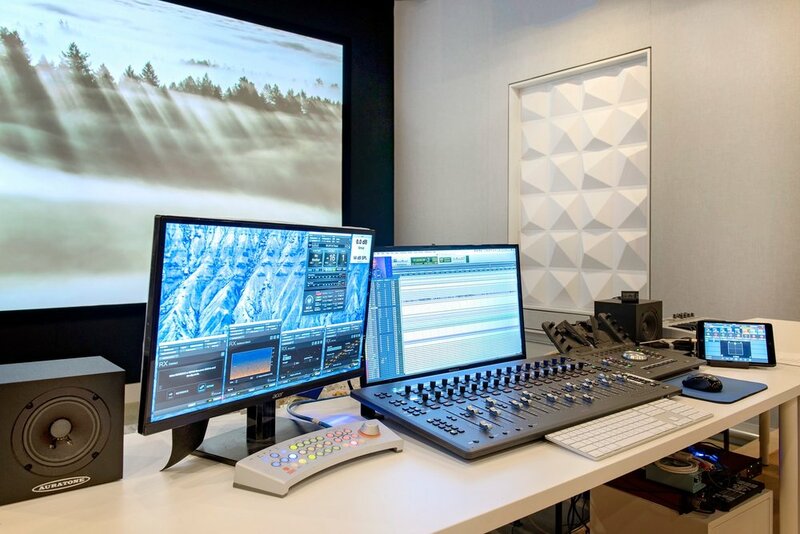 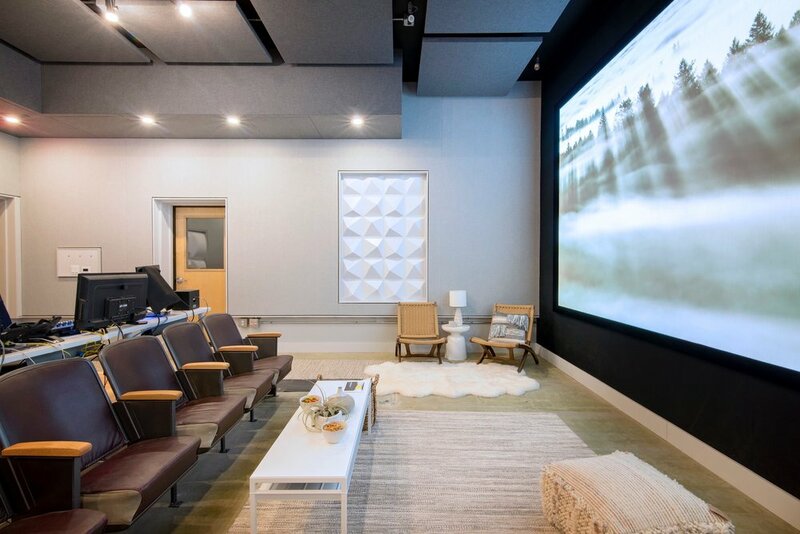 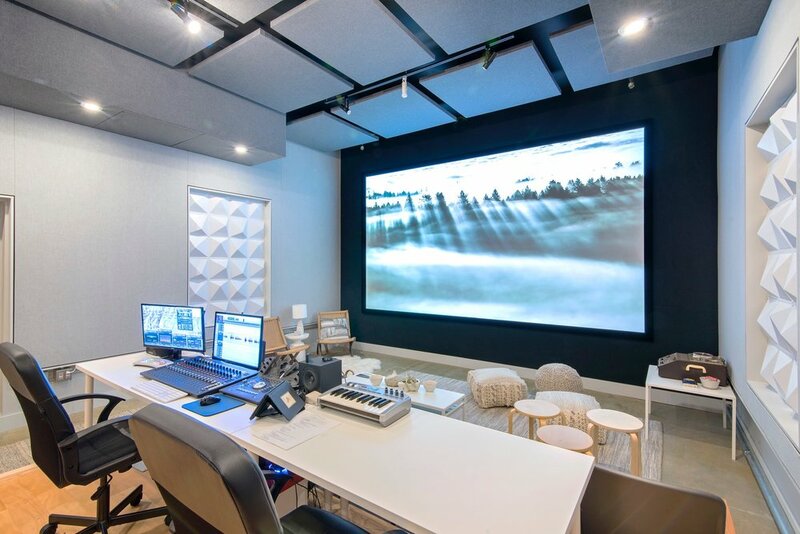 for soundspace, we designed an environment with visual continuity that also serves many functions: a work space for sound editing, an inviting place to meet and a comfortable room for viewing film and commercial work. 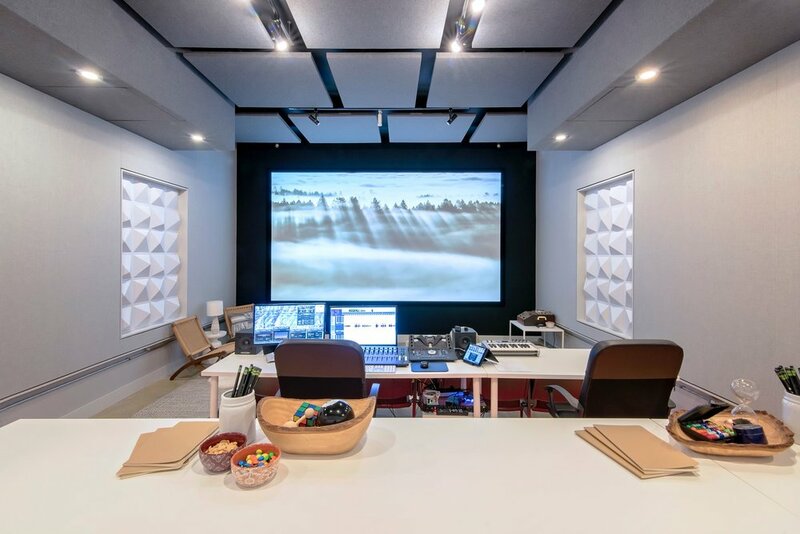 the hard surfaces, industrial details and technical equipment are complemented by the cozy, engaging pieces. 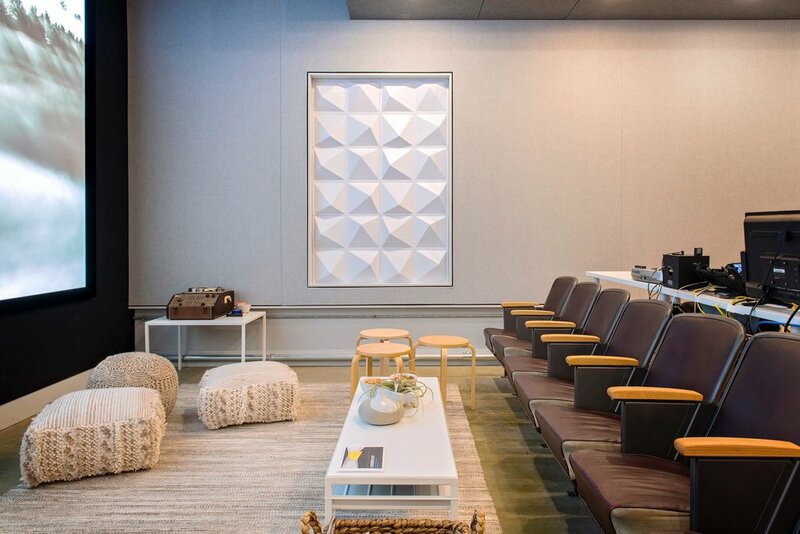 this dichotomy of elements is tied together by the neutral color palette of greys, whites and light woods.